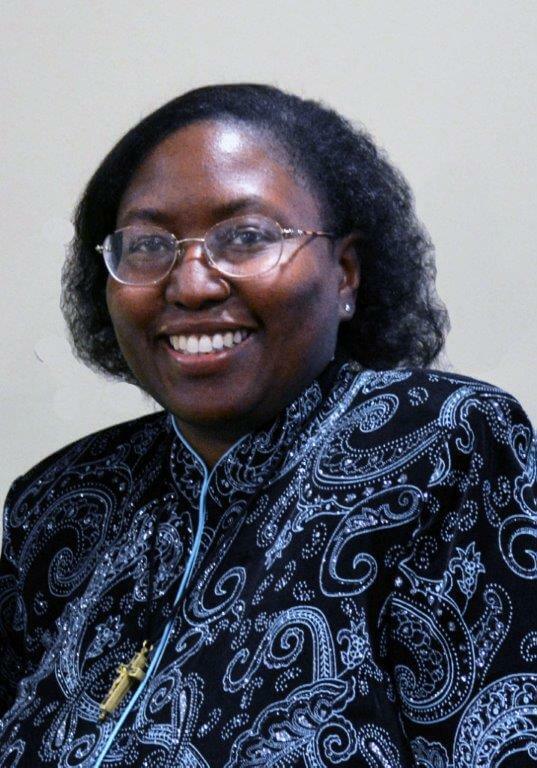 Sister Maria Harden, CSJ, 54, died Thursday, September 22, 2016, in the 28th year of her religious life as a Sister of St. Joseph. The daughter of James Harden and the late Margaret (Thompson) Harden, she entered the Congregation from Corpus Christi Parish, Pittsburgh, PA. Sister Maria, who served in education for 24 years, has been a first-grade teacher at Sacred Heart Elementary School in Shadyside for the past four years. From 1997 to 2011, she taught at St. Benedict the Moor School in Pittsburgh where she received the 2011 Golden Apple Award for excellence in teaching, community service and commitment to the church and where parents described her as a calm, patient and compassionate presence in the classroom. Sister Maria was a model for inclusion in her school, parish and community. She was a member of the Ladies Auxiliary of St. Peter Claver in service to the African American Catholic Church and was deeply devoted to nurturing the faith life of African American children. “I am especially moved by the level of love that they have for God. When my students are praying or singing to God, they just beam. They inspire me to be my best,” she said while celebrating her Silver Jubilee. As a novice, she worked for a summer in a Michigan jail, and, her supervisor wrote that Sister Maria impressed him as “truly possessing a loving heart for the poor and the oppressed.” Friends and colleagues described her uplifting spirit, contagious joy and delightful humor. Sister Maria loved to sing and dance, especially when praising God. Sister was inspired to enter the convent by several communities of Catholic sisters, including the Sisters of St. Joseph, the Dominicans, the Franciscans, and the Ursulines. Sister Maria was preceded in death by her mother Margaret A. Harden, and her sister Starlee D. Harden. She leaves to cherish her beautiful memories, and carry on her loving legacy, her father James. E. Harden, her siblings Marcelino Harden, Martin (Tammy) Harden, Victoria (Mark) Hobson-Kielman, Kevin Harden and a host of spiritual siblings, nieces, nephews, cousins and friends, and the Associates and the Sisters of St. Joseph of Baden. Friends will be received Sunday, September 25, from 2-8 p.m.; Monday, September 26, from 1-8 p.m.; and Tuesday, September 27, from 1-3:30 p.m. at the Motherhouse of the Sisters of St. Joseph. Prayer Vigil will be Monday, September 26, at 6 p.m.at the Motherhouse. Mass of Christian Burial will be offered Tuesday, September 27, at 4 p.m. in the Motherhouse Chapel. Burial will follow in the Sisters’ Cemetery on the Motherhouse grounds. Donations in the name of Sister Maria may be sent to the Sisters of St. Joseph Memorial Fund, Development Office, 1020 State St., Baden, PA 15005. Make a donation in memory of Sister Maria.